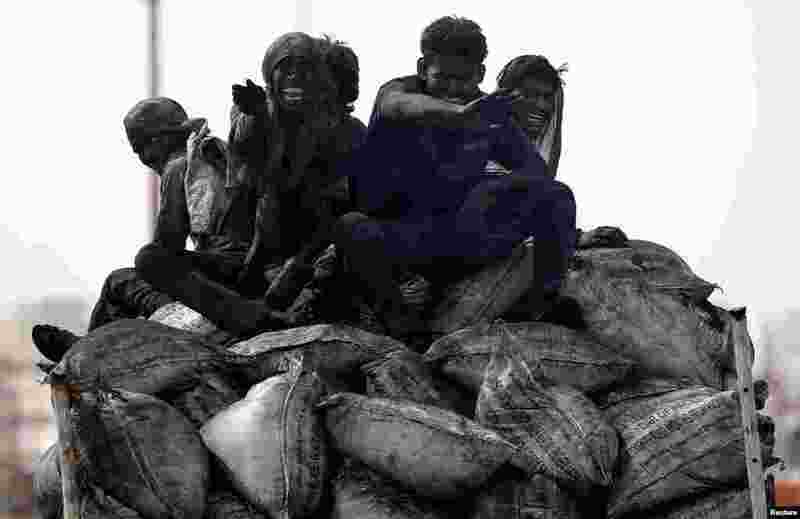 1 Coal workers travel on the back of a truck in Barsana, India. 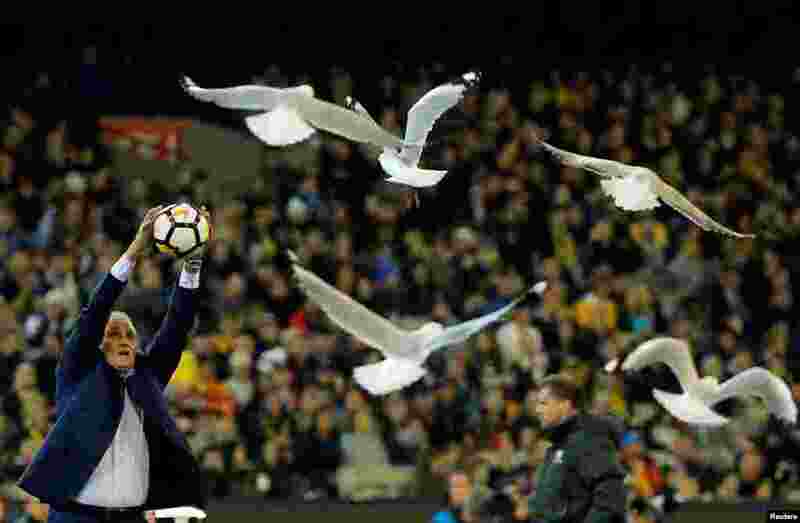 2 Brazil national soccer team coach Adenor Leonardo Bacchi - known as Tite - catches a ball while seagulls fly around the Melbourne Cricket Ground in Melbourne, Australia. 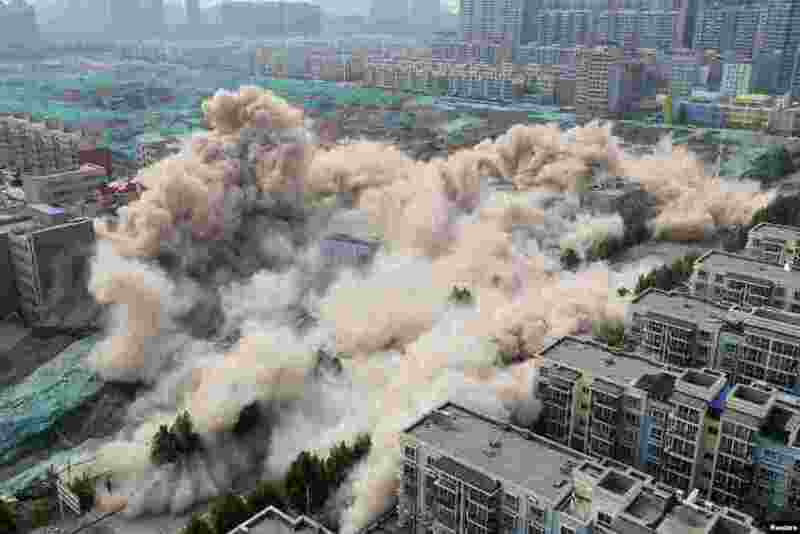 3 Buildings crumble during a controlled demolition for the reconstruction of urban villages in Zhengzhou, Henan province, China, June 12, 2017. 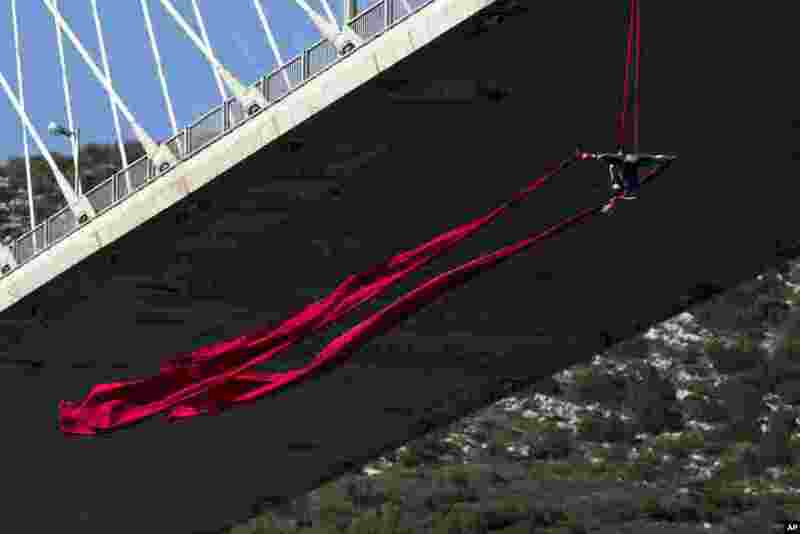 4 Extreme Aerial dance artist Katerina Soldatou performs on a 34-meter (111 foot) high bridge in the city of Chalkida, about 80 kilometers north of Athens, Greece.